Metaphysics : Metaphysics investigates the nature, structure and value of reality. Metaphysics: Metaphysics is the branch of philosophy that goes beyond the realms of science. It is concerned with answering the questions about identity and the world. The name is derived from the Greek words, Meta which means beyond or after, and Physika which means physics. Aristotle, one of the most well known philosophers, acknowledged Thales as the first known meta physician. The main branches of metaphysics are ontology, natural theology and universal science. Epistemology: It deals with the definition of knowledge and its scope and limitations. It translates from Greek to mean ‘theory of knowledge’. It questions the meaning of knowledge, how we obtain knowledge, how much do we know and how do we have this knowledge? Some of the famous epistemologists are Descartes, Kant and Hume. What is the nature of the process of knowledge? What are the sources of Knowledge? :Rationalism , Empiricism, Intuitionism. What is the criteria of determining truth? : The Correspondence Theory of Truth, The Coherence Theory of Truth, The Pragmatic Theory of Truth. Ethics : Ethics, also known as moral philosophy, is a branch of philosophy that addresses questions about morality—that is, concepts such as good and evil, right and wrong, virtue and vice, justice, etc. Ethics: It is concerned with questions on morality and values and how they apply to various situations. 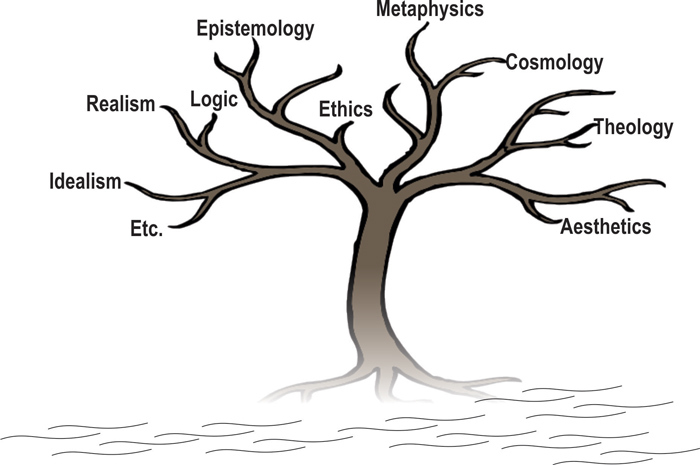 It can be divided into the branches of meta-ethics, normative and applied ethics. Ethics seeks to understand the basis of morals, how they develop and how they are and should be followed. Famous works on ethics are by philosophers as early as Plato, Aristotle, Kant and Nietzsche. (2) What is the ultimate worth of the goals you seek? (3) What specific courses of conduct, in keeping with these goals, will help lead to the life of excellence? Social Philosophy is one of the main and important branches of Philosophy. It is the thoughtful consideration of human society. It gives insight into the actual activities of human beings in the society. Social philosophy is the study of questions about social behavior and interpretations of society and social institutions in terms of ethical values. For Bertrand Russell, ‘Social Philosophy seeks the conditions in which all the constructive tendencies of man (such as love and sympathy) Social marriage and education can provide maximum possible opportunities to produce the people who can save the world from future catastrophe. “Social philosophy studies the interactions and inter-relations that exist among men and their groups”. Social Philosophy has two main functions namely Critical and Constructive. Social Philosophy studies the most fundamental laws which influence social cohesion, social progress, social change and social disintegration. It seeks insight into the causes of social crimes, juvenile delinquency, child labor, honor killing, gender differentiation, injustice, and inequality. It tries to find out the root causes of social pathology and suggests the remedies for it. It seeks to discover and restore the social bonds that hold the mankind together. It defines the social values such as common good, happiness, peace, security, justice, freedom, excellence/beauty, punctuality and discipline. Aesthetics is the branch of philosophy which is concerned with definition, structure and role of beauty, especially in the art is called aesthetics. The term “aesthetic” has been used to designate an experience, the quality of an object, a feeling of pleasure, classicism in art, a judgment of taste, the capacity of perception, a value, an attitude, the theory of art, the doctrine of beauty, a state of the spirit, contemplative receptivity, an emotion, an intention, a way of life, the faculty of sensibility, a branch of philosophy, a type of subjectivity, the merit of certain forms, or an act of expression. What is the relation of the beautiful to the true and the good? Are there criteria by means of which we can judge a work of art in an objective sense? What is the art itself? Is it a reproduction of a vision into ultimate reality? Validity, which means that the system’s rules of proof will never allow a false inference from true premises. A logical system has the property of soundness when the logical system has the property of validity and only uses premises that prove true (or, in the case of axioms, are true by definition). Completeness, which means that if a theorem is true, it can be proven. Soundness, which means that the premises are true and the argument is valid. Philosophy of Education: Fairly self-explanatory. A minor branch, mainly concerned with what is the correct way to educate a person. Classic works include Plato’s Republic, Locke’s Thoughts Concerning Education, and Rousseau’s Emile. Philosophy of History: Fairly minor branch (not as minor as education), although highly important to Hegel and those who followed him, most notably Marx. It is the philosophical study of history, particularly concerned with the question whether history (i.e. the universe and/or humankind) is progressing towards a specific end? Hegel argued that it was, as did Marx. Classic works include Vico’s New Science, and Hegel and Marx’s works. Philosophy of Law: Also called Jurisprudence. Study of law attempting to discern what the best laws might be, how laws came into being in the first place, attempting to delimit human laws from natural laws, whether we should always obey the law, and so on. Law isn’t often directly dealt with by philosophers, but much of political philosophy obviously has a bearing on it. Philosophy of Mathematics: Concerned with issues such as, the nature of the axioms and symbols (numbers, triangle, operands) of mathematics that we use to understand the world, do perfect mathematical forms exist in the real world, and so on. Principia Mathematica is almost certainly the most important work in this field. Philosophy of Language: Ancient branch of philosophy which gained prominence in the last century under Wittgenstein. Basically concerned with how our languages affect our thought. Wittgenstein famously asserted that the limits of our languages mark the limits of our thought. Classic works include Plato’s Cratylus, Locke’s Essay, and Wittgenstein’s Tractatus Logico-Philosophicus. Philosophy of Politics: Closely related to ethics, this is a study of government and nations, particularly how they came about, what makes good governments, what obligations citizens have towards their government, and so on. Classic works include Plato’s Republic, Hobbes’ Leviathan, Locke’s Two Treatises, and J.S. Mill’s On Liberty. Philosophy of Mind: Study of the mind, attempting to ascertain exactly what the mind is, how it interacts with our body, do other minds exist, how does it work, and so on. Probably the most popular branch of philosophy right now, it has expanded to include issues of AI. Classic works include Plato’s Republic and Wittgenstein’s Philosophical Investigations, although every major philosopher has had some opinion at least on what the mind is and how it works. Philosophy of Religion: Theology is concerned with the study of God, recommending the best religious practices, how our religion should shape our life, and so on. Philosophy of religion is concerned with much the same issues, but where Theology uses religious works, like the Bible, as it’s authority, philosophy likes to use reason as the ultimate authority. Philosophy of Science: Study of science concerned with whether scientific knowledge can be said to be certain, how we obtain it, can science really explain everything, does causation really exist, can every event in the universe be described in terms of physics and so on. Also popular in recent times, classic works include Hume’s Treatise on Human Nature, Kripke’s Naming and Necessity, Kuhn’s Structure of Scientific Revolutions.